Over the years, we’ve heard about plenty of incidents involving customers-gone-bad, from those who assault fast food employees when their orders are wrong to more extreme measures like setting fire to a store. We can add a few more bad consumers to this list after two separate, but equally disturbing, incidents at a Florida Wendy’s and a Texas McDonald’s. 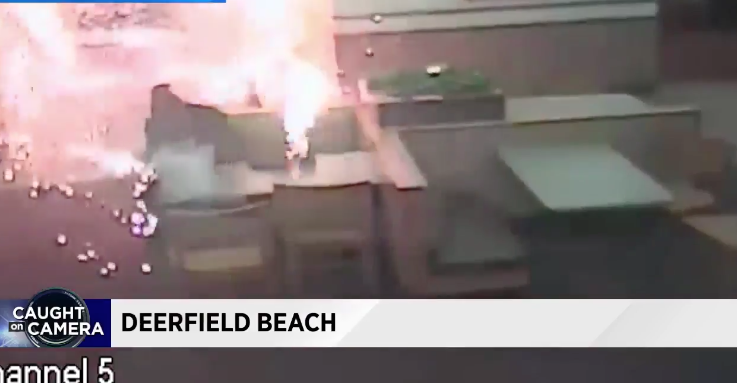 First up, WPLG in Miami reports that a group of young men scared diners and workers at a local Wendy’s store in early July when they threw fireworks inside the fast food joint. According to police, the incident occurred around 10 p.m. July 5 when a group of eight to 10 men opened the location’s front door and threw a firework inside before running away. Video of the incident shows the firework sparking before turning into a large flare and smoke filled the restraint. Police tell WPLG that the roman candle-like firework created a seven-inch hole in a wall. 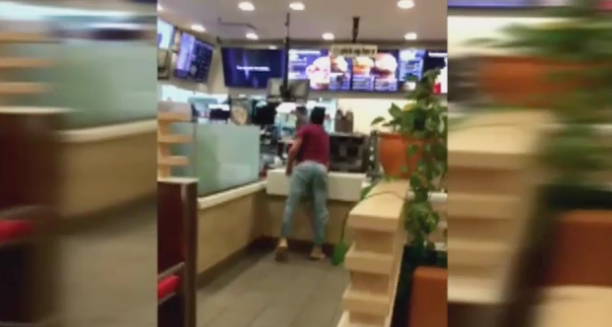 In Texas this week, a disgruntled McDonald’s customer jumped over the counter and punched an employee simply because his fries didn’t arrive promptly, WTVM reports. The incident, which was recorded on video, shows the man enter the restaurant with his dog and yell at the employee behind the counter. The man swiped the cookie display from the counter, took off his shirt, and then jumped over the counter. He then punched the employee in the face. Witnesses tell WTVM that the man was yelling that he had waited two hours for fries. “I didn’t believe it was happening. I’ve never experienced anything like – of course, I’ve seen videos like that happen on the Internet. But I’ve never actually witnessed something like that,” the witness said. Police were called to the scene, but no one was arrested, WTVM notes, adding that an investigation is ongoing. Previous All Of My Instagram Photos Have Disappeared. What Now?